FatBlokeThin - The Fat Blokes Guide To Losing Weight! : Untimely death, The Consolations of Philosophy and Suli Breaks! Untimely death, The Consolations of Philosophy and Suli Breaks! 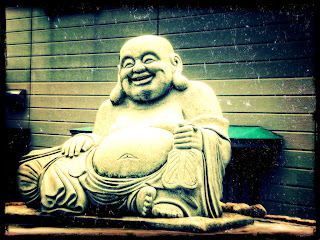 Happy fat bloke - simple right? Well here I go again, setting sail yet again in the good ship HMS FatBloke on a depressingly familiar course to that most obscure and difficult to locate destination… Weight-Loss Island! First the bare facts – as of this morning I weigh a whopping 283.8lbs. Not quite enough to require assistance with wiping my arse but not that far off that I shouldn’t consider stocking up with these pretty soon. 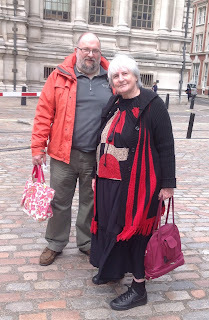 280lbs is my usual ‘get a grip’ tipping point (being 20 stones in old money) – back in Nov 2010 I weighed 238.8lbs so I have put around 45lbs back on in around 30 months. That’s 1.5lbs per month – that’s a biscuit a day… Just typing this makes my frustration so much rawer. I have been here many times before so why now then, what’s changed? Well, I hope you’re sitting comfortably….as this is how my planets have aligned. W A K E - U P C A L L ! To begin with, I can trace it back to the morning of the 15th May 2013. I had a very big wake up call. My 52 year old next door neighbour literally dropped dead without any obvious cause. I regret that I didn’t have the chance to become his friend but when death passes so close to you, you can’t help but consider your own state of affairs. His funeral was an intense experience and made me think long and hard about where I was heading (I’ll give you a clue… it rhymes with ‘Mohair blast!). Now, tragic though his death is, death is not unknown to me and I have not been moved to re-evaluate my life in this way before so what else is going on you may wonder? Can't be hard to find, right? Before we go on, here’s a question for you… ‘Am I frustrated because I am fat or am I fat because I am frustrated?’ Pretty deep eh? Keep hold of that one for a while. I have long believed in the connection between happiness and healthiness. The more I learn, the more I believe that to lose weight, first I must be happy. Being thin will NOT make me happier but being happier JUST might help me to get thin! OK, let’s go back to the very beginning. What is happiness anyway? So, I want to have a ‘state of wellbeing’. Where to start? The Dala Lama laughs A LOT so I guess he must be fairly happy. Looks like Buddhism is the right one for me so I have got that part right at least! Even with the mighty Buddha, I still can’t help thinking I need a bit more horsepower on my side… where shall I turn? Step forward Mr Alain De Botton (crazy name, crazy guy!) – I have owned his book ‘The Consolations of Philosophy’ for well over 10 years and only now did I pick it up and in a beautiful moment of sycronicity, start reading it just when I needed it. Packed with profundity, it is a superb and accessible examination of philosophy (from Socrates and Seneca through to Schopenhauer and Nietzsche). 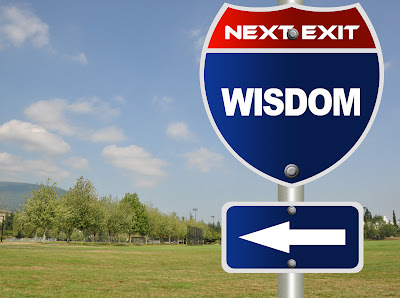 Its power lies in his ability to examine the problems of modern life through the wisdom and knowledge of both ancient and more modern philosophical works. Boom! The book provides assistance with some of the deepest and most profound barriers to happiness through the timeless wisdom of philosophers. Whilst reading the book, I instantly recognized myself in the pages. Chapters on Unpopularity, Poverty, Frustration, Inadequacy, Timidity etc all resonate with me to a greater or lesser extent. This is my road map. For those of you in the UK, Channel 4 made a TV series from the book and it can be viewed here. I believe that the stuff in this book is so important to getting my head straight that I plan to deal with each chapter in a separate post as I work my way through the book. If I can help one person to short cut the very long road to happiness that I have taken then it is worth doing. So, I think that I now have all the horsepower I need in the wisdom engine! What’s missing still? I N S P I R A T I O N! It was my birthday on the 14th June (Happy B-day to me…etc) and way back in March this year I bought 2 tickets to the TEDxHouses of Parliament event to be held on that day. 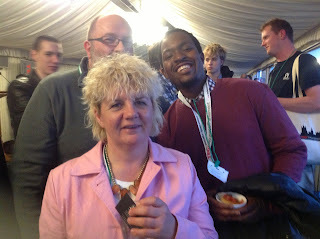 Whilst we were at the after show reception we got chatting with the lovely James Jospeh and Harriet Bowe and one of them asked me why I had come to what was my first TED event. I had a very simple answer – I ‘Googled’ London and the date of my birthday and guess what came up…. It just goes to show that you can find inspiration in the wierdest ways! I didn't expect a great deal from the day but I have never been more wrong. It was a fascinating day of ideas the like of which I have never expereienced before. I met a lot of really interesing and inspiring people along the way as well. The day began with me meeting a wonderful lady called Julie Kertesz who bowled up to me outside the QEII centre and very charmingly questioned me about who we were and why we were there.. she turned out to be a fascinating 79 year old photographer, storyteller and stand up comedian (amoungst other things!). We will meet again I am sure! 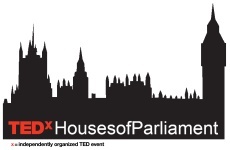 TEDxHousesOfParliament 2013 was held to share "ideas worth spreading" on the theme of Representation and Democracy. Doesn’t sound very inspiring does it? Well, prepare to be as wrong as me …. 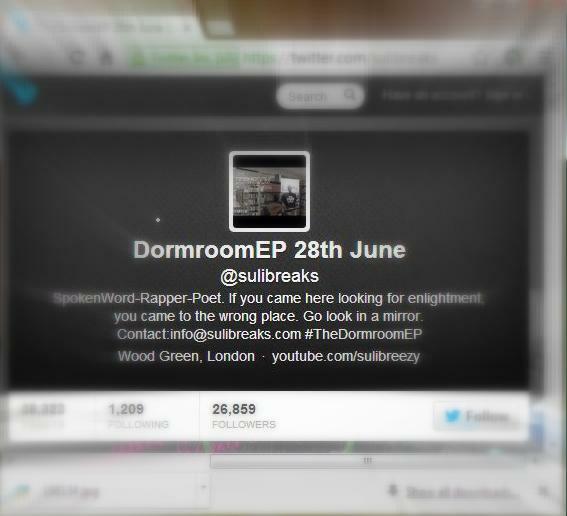 One of the speakers turned out to be Suli Breaks – a person I confess I had never heard of before that day. Watch this video….. the room almost came down after this was shown! Aweseome (in the true sense of the word for a change). Suli has a voice that I found very hard not to listen to (I don’t mean the sounds he makes but the words and concepts he uses). Inspiring though this film was, this wasn't what gave me the final kick I needed to get back on the road to happiness and weightloss. I decided to look him up on twitter to thank him for the inspiring film and the chat we had afterwards. Then the inspiration arrived! This was a very timely reminder of what is written at the top of this blog... this is in my hands, no one elses. I need to get the wisdom, get the knowledge, put the effort in and find happiness NOW! From happiness will come weightloss as sure as day comes after night. I am not an apologist for fat people but I DO know that we are not just gluttons. Some of us eat because we are unhappy and many of us just lack the wisdom to resolve our problems before we can lose weight. We are not lazy, just ignorant of the ways to solve our innermost problems. Anyway, back to frustration – remember that? Of all the obstacles in my way, frustration is the most obvious and ever present and I am working on that but for now I will leave you with a quote from my new most favourite philosopher on matters frustrating... Lucius Annaeus Seneca. Hello Fat Bloke (Hope you don't mind m calling you that, no offense meant) Phat Dad here, I hope that you are well. I think that we may have swapped comments before, years ago, as we seem to have similar problems and philosophy. you can have a read if you like. I was really skeptical at first but I can confirm that this has changed my life. I was 260lb now I'm 192lb; I was 44" waist now I'm 36". I did but no longer have Type 2 diabetes, High blood pressure, High cholesterol and Depression/High Anxiety. Give it a go mate I know you can do it, you just lack the motivation cos you've had so many knockbacks, lik I have. And do you know what the best bit was? there was no need for exercise at first. The weight dropped off, I had more energy, so I started to introduce low impact exercise. Swimming and walking. Good luck. Let me know what you think and how you get on. Peace. A Foolproof, Scinence-Based Diet that's 100% Guranteed to Melt Away 12 t0 23 Pounds of Stumbborn Body Fat in Just 21- Days !! !